It’s a little-known fact that my readers often make me cry. They do so by telling me how my books have deeply moved them. 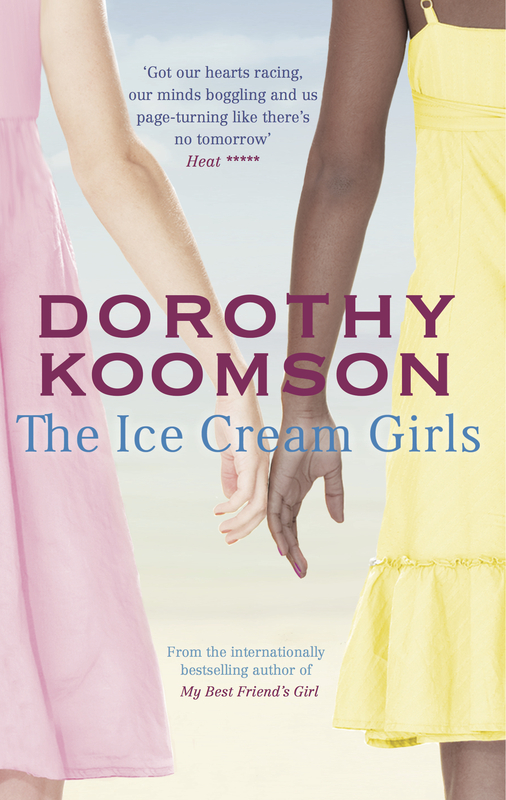 With The Ice Cream Girls, I have had numerous emails from people all over the world telling me how the book changed their lives or the life of someone they know. Such as the 60-year-old woman who said the book reflected her experiences in a way that she had never been able to share. Such as the domestic violence perpetrators outreach worker who said the novel had shown a man in her class that he was an abuser and that his wife had been right to leave him. Such as the woman who, after reading the story, finally plucked up the courage to see her relationship for what it was and to leave. Those are just three examples from all the powerful emails I’ve had. When I write a book I feel an enormous sense of responsibility to tell accurately and sensitively the stories of the people I speak to, which is why those emails bring tears to my eyes: not only has something I have written touched someone, but I have managed to accurately portray the realities of people’s lives. I have to admit, when I first started researching for The Ice Cream Girls I didn’t know or understand that all abusive relationships are rooted in emotional manipulation – I thought it was all about the physical violence. I found out that without the psychological control, the violence wouldn’t happen more than once. Having learnt this, I told the story of The Ice Cream Girls knowing that anyone, including ‘nice’, ‘ordinary’, ‘normal’ girls from two-parent families can and do find themselves manoeuvred into the situation that Poppy and Serena were in. The TV drama that is based on my novel doesn’t seem to agree with what I learnt from my research and it seems to fall into the trap of regurgitating the stereotypes believed by those who have no experience or knowledge of domestic violence. While watching the drama I couldn’t help thinking that, while the people who made it had liked the basic idea of my book, they decided that abusive relationships and girls being groomed into sexual relationships by older men simply didn’t happen in the way I had written about them. After the second time I outlined my concerns over the potentially damaging messages in the TV drama, the show’s executive producer admitted that their drama ‘tells a slightly different story with slightly different characters and different motivations’. Which is true, there are two versions of the story called The Ice Cream Girls: both have protagonists called Serena and Poppy, both have Poppy and Serena accused of killing an abusive man called Marcus. The Serena I created was a shy, clever-but-naïve young girl manipulated into a relationship by her teacher who then went on to brutalise her; the Poppy I wrote about was a young girl, close to her father who thought the older man she was involved with loved her even when he abused her. My Ice Cream Girls were trapped in a nightmare situation not of their making and they couldn’t work out how to escape. My Ice Cream Girls, as many people from all over the world have told me, were loveable, likeable and deeply sympathetic to the point where readers were torn about who they thought had murdered Marcus. 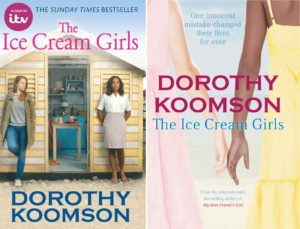 So, essentially, there are two versions of the story called The Ice Cream Girls – the research-based novel that I wrote and the TV version. I’m sure a lot of people enjoyed the TV version – the actors did a great job with the material they were given. But I hope the viewers questioned whether those situations play out in real life as they did in the TV drama, and that they consider how very different my book, the original story, might be to that version. A further difference between the two is that the TV version had a different ending and a different killer. For those asking: I didn’t have any say or input into any of the changes including the ending.